Today the word green is not just limited to colour, it represents the environment, which is surrounding us. Concrete which is made from concrete wastes that are eco-friendly are called as “Green concrete”. The other name for green concrete is resource saving structures with reduced environmental impact for e.g. Energy saving ,co2 emissions, waste water. 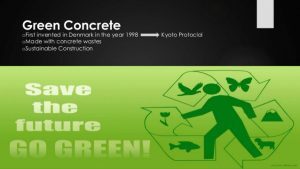 Green concrete” is a revolutionary topic in the history of concrete industry. This was first invented in Denmark in the year 1998 by Dr.WG. Concrete wastes like slag, power plant wastes, recycled concrete, mining and quarrying wastes, waste glass, incinerator residue, red mud, burnt clay, sawdust, combustor ash and foundry sand. Green Concrete is a term given to a concrete that has had extra steps taken in the mix design and placement to insure a sustainable structure and a long life cycle with a low maintenance surface. e.g. Energy saving, CO2 emissions, waste water. The goal of the Centre for Green Concrete is to reduce the environmental impact of concrete. 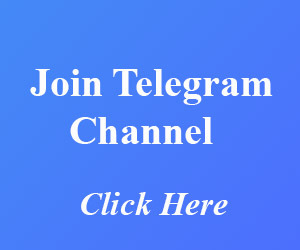 To enable this, new technology is developed. The technology considers all phases of a concrete construction’s life cycle, i.e. structural design, specification, manufacturing and maintenance, and it includes all aspects of performance, i.e. CO2 emissions shall be reduced by at least 30 %. At least 20 % of the concrete shall be residual products used as aggregate. Use of concrete industries own residual products. Use of new types of residual products, previously land filled or disposed of in other ways. CO2-neutral, waste-derived fuels shall substitute fossil fuels in the cement production by at least 10 %. To avoid the use of materials which contain substances on the Environmental Protection Agency’s list of unwanted materials, not to reduce the recycling ability of green concrete compared with conventional concrete and not to increase the content of hazardous substances in the wastewater from concrete production compared with wastewater from production of existing concrete types. Different concrete types are tested for workability, changes in workability after 30 min., air-content, compressive strength development, E-modulus, heat development, homogeneity, water separation, setting time, density and pumpability. Furthermore, frost testing, chloride penetration and an air void analysis are carried out for the concretes in the aggressive environmental class. The water/cement ratio, water/binder ratio and the chloride content are calculated from the mixing report of the precise mixture proportions and from the chloride content in the different raw materials. Compressive strength behaviour of ceracrete with water cement ratio is similar to conventional concrete. By using stainless steel, cost of reinforcement increases. Structures constructed with green concrete have comparatively less life than structures with conventional concrete. Split tension of green concrete is less than that of conventional concrete.